An experienced client services manager, senior level agency communicator, problem solver and digital project manager who builds great working relationships with teams, clients and suppliers. 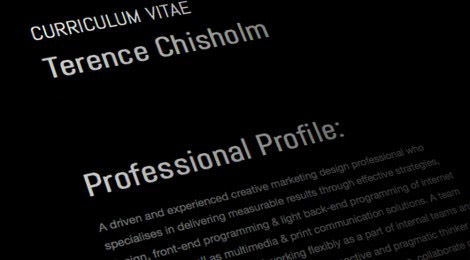 An adaptable, driven, imaginative, enthusiastic and experienced creative marketing design professional who specialises in delivering measurable results through conceiving, researching and implementing effective strategies & solutions, for the internet, multimedia, video & print. A proactive and pragmatic thinker who utilises jargon-free language to lead teams to learn more, collaborate more, feel more, commit more, and care more about the positive difference they can make to the bottom line of their organisation. A proud ‘geek’ who is enthusiastic and passionate about all things digital, as well as, what difference it can make for brands and agencies. A team leader with a long history of working flexibly to fill knowledge gaps, mentor and support new learning, improve processes, create new efficiencies and keep agency output standards high. Mastering and championing HQ built tools which streamline complex processes and offer brands rapid development options for getting ideas built tested and live in days, rather than spend more time and money externally for similar outcomes. Protecting the company from legal risk: Conceived, built and sold-in a system to protect the company from over 20m in legal risk to deliver a GDPR Audit Trail & Archive which matches users with all the pages that were live on a given day and links to an archive of those pages, so that GDPR compliance can be documented at user level. This system is being adopted as a global standard now, after my local market UK company efforts. A dedicated passionate team member who seeks to drive teams to do more and feel more confident about what they do, so that they tackle digital opportunities more boldly and deliver more effect results for their brands. Enabled PRUK to achieve new brand subscribers at a record rate of return and low rate of cost, with the cost per aquired subscriber ranging from as little as 7 to 24 pence per subscriber, rather than agency led efforts which came in at between £2.50 and £171 per subscriber. A massive difference in ROI for the company, and a massive difference in investment required to activate users rapidly with agilty to do more, achieve more at a much lower cost or no cost at all. Needle in a haystack finders, so issues (needles) in body copy or HTML code can be found in the site’s pages (haystack). Devised a organic search strategy for a user generated content managed site which achieved a “Page 1” ranking in google search results for the bands that entered the competition – ranking higher on google, many times, above Facebook/MySpace/band-sites for the bands that entered The People’s Music Awards. Built a bespoke Content Management System (CMS) with organic search in mind that helped to artists create profiles, share songs, ask for votes, etc. Led creative design, development and project management teams to deliver over 35 websites with features tailored to each client, including duties like: developing great strategies, selling them to the client, making them happen, line managing the project, budget, creatives, build team, testing, deployment and more. Since October 2009, worked within a medium sized agency as their official web services contractor to provide web design and programming services, as well as assisting with their internal teams with account handling, project management, analytics, best practices assurances, user testing and social networking strategy for Diageo’s drinks brands including Bell’s Whiskey, Blossom Hill wines, Bushmills, Pimm’s, etc. Utilised software packages including Quark XPress, Photoshop, Illustrator and others.